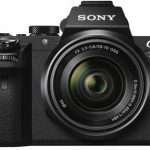 Home / Digital Camera Comparison / Sony RX100 IV vs. RX100 V: what’s the difference? So, Sony just announced their 5th generation of the RX100 series of cameras as sort of a side note. Naturally, such an announcement really excites me and of course, the RX100 V is a great camera … I am still somewhat disappointed however. Sony RX100 V vs. RX100 IV – How is the New One Better? The biggest improvement inside the RX100 V is the new sensor that now offers phase-detection autofocus. It sports 315 phase-detection AF-points that cover around 65% of the image. Can track objects precisely across the entire field of view. Sony mentions a so called »front-end LSI«, yet doesn’t deem it necessary to explain what that means just yet. What we assume is that this new feature merely describes a new buffer – a sort of transitional memory unit. This ensures that the camera can capture 24 RAW and JPEG images a second with a maximum of 150 images in one go. The higher throughput also means that images can be read from the sensor more quickly which helps to reduce the dreaded rolling shutter effect. When shooting in 4K, the camera is using an area of 5028 x 2828 pixels of its sensor which are then scaled down into a 4K video. This is said to improve detail and sharpness. Due to the new phase-detection AF, the focusing abilities during video shooting have improved and rolling shutter has been reduced. The maximum recording time for continuous video files is still 5 minutes. The HFR mode allows you to film slow-motion videos at up to 1000 frames per second. What’s new is that you can do this for twice as long as you could with its predecessor, the RX100 IV (8 instead of 4 seconds in time-priority mode). You can find more videos here and here. Other than recording time, nothing else has changed in slow-motion mode. 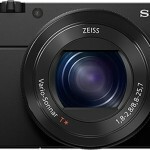 We already know the 1″ Sony EXMOR RS sensor from the RX100 IV and RX10 II and III models. The only update it has been given are the 315 phase-detection AF points. 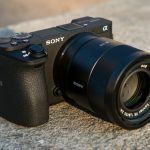 Originally, Sony were worried that AF points might affect image quality but since the introduction of the a6300 it should be clear that that is not the case. Image and video quality in the RX100 IV have impressed us so we expected the RX100 V to be no slouch either. The Binoz X image processor is tried and tested and is also found in the latest member of the RX100 family. This time however, it is accompanied by a larger buffer which allows it to achieve the incredible burst-mode figures and longer slow-motion recording time. Image quality is also supposed to have incresed (here’s a comparison). If that holds true for JPEG only or if the RAW quality will also increase will show in future reviews. The camera has gained weight once again and just barely scraped the 300g mark with its weight of 299g… Seeing how well it performs however, the size and weight are totally tolerable. Whether you need an electronic viewfinder or not is a matter of taste. I however really like the EVF of Sony’s RX100 series. Why? Photographing with a viewfinder is somewhat more »direct« than looking at a display since you block everything else out that is not your camera info or your subject. You can check the image without glare obscuring the screen. Charging your camera via USB has become pretty much the standard nowadays. I like that a lot and can’t imagine going back to a proprietary charger. The screen of the RX100 can be tilted upwards 180° for full-on selfie-mode or downwards 45°. This leaves little to be desired. With a maximum shutter speed of 1/32.000 of a second you’ll be hard pressed to find a setting that is too bright to take usable photos in. Short exposure times however, aren’t always the way to go. For that purpose the RX-cameras come with a built in ND-Filter. It can of course also be controlled manually. Pretty much all of the RX100’s competitors come with a touchscreen and even Sony has integrated one into their high-end a6500 camera. Why they are holding back on including on in their RX100 V remains a mystery to me. The RX100 is not a studio camera. It’s meant to be used on the go and to be your companion for solo or family travels. For such uses it would be ideal if the camera could immediately tag all the images with the correct GPS-coordinates. Sadly, the RX100 V is unable to du that. If you want Geo-Tagging, you’ll have to use some alternative measures. There are external GPS loggers or you can use your smartphone. If have been torn if I should mention the lens as a drawback or not. After all, it delivers super crisp images in every setting. Upon seeing the questions that people have been asking me about the camera (»is the zoom enough?«) and seeing what lenses the competition are offering, Sony is clearly dragging behind. The Panasonic LX10 offers some more focal length and a wider aperture at f/1.4. Canon’s G7 X (Mark I and II) offer a lot more zoom range at 100mm of maximum focal length. The aperture also remains wider at maximum zoom (f/2.8) than in Sony’s RX100. As mentioned above, I think the RX100 V is almost certainly going to be a great camera. But if you ask me, Sony is heading in the wrong direction. More and more unnecessary features are being crammed into the same camera body meaning the cameras are getting more expensive and heavy. It doesn’t have to be that way! Of course, such a brisk autofocus is great. But do you really need it? With the more than 13.000 photos I took with the RX100 III during the last 1.5 years I’ve been missing a couple of things every now and then. Faster autofocus was never among them. The focal range of 24 – 70mm of the integrated lens will only seldom have you shoot in situations that would demand lightning fast autofocus. For sports or animal photography the zoom is simply not sufficient. For everyday use the autofocus of the old RX100 was more than enough for me. Don’t get me wrong. I don’t want to complain about phase-detection autofocus. But what I’m asking myself is: Where’s the touchscreen? What about a new and more versatile lens? The competition is on their toes! Canon is offering a great alternative for a lower price with their G7x Mark II and Panasonic are offering a worthy competitor to the Sony with their Lumix LX15. Both models have touchscreen and offer longer focal length. The LX10 even supports 4K video. Also, both models are cheaper than the RX100. Of course, the video features of the RX100 might be awesome. But isn’t it mainly meant to be a camera for stills? No matter if the next model will be called the RX100 VI or RX200. What I wish for is for Sony to go »back to the roots«. A camera that shoots terrific images while being compact and lightweight but still easy to use. Many of these things the RX100 can do already. It wouldn’t be a huge feat to make a camera with all these features. I’d even sacrifice the flash or the articulating screen for a lighter body. 4K is also not a necessity for a stills camera and, while being a nice gimmick, slow-motion recording also isn’t a huge dealbreaker. There are pretty much no competitors offering an almost identical spec-sheet to the RX100 V. If you can however omit some of the bells and whistles you’ll find some worthwhile alternatives made by Sony, Panasonic and Canon. Since the RX100 III, almost nothing changes have been made to the body design of the RX100 series. The viewfinder, articulating screen and the lens are identical. The RX100 III is a little slower overall and doesn’t offer 4K video recording. I got a chance to play around with the Lumix LX15 at the Photokina exhibition and was immediately impressed by it. I was able to use the G7x Mark II for 4 weeks while writing a review and learned to love it. Of course, it can’t do everything the GX100 V or IV can but it doesn’t have to! The G9 x is currently the smallest camera with a 1” sensor that I know of. It is insanely small and that’s precisely its advantage. If you are looking for a compact and lightweight camera first and foremost, you should take a closer look at the G9 x. 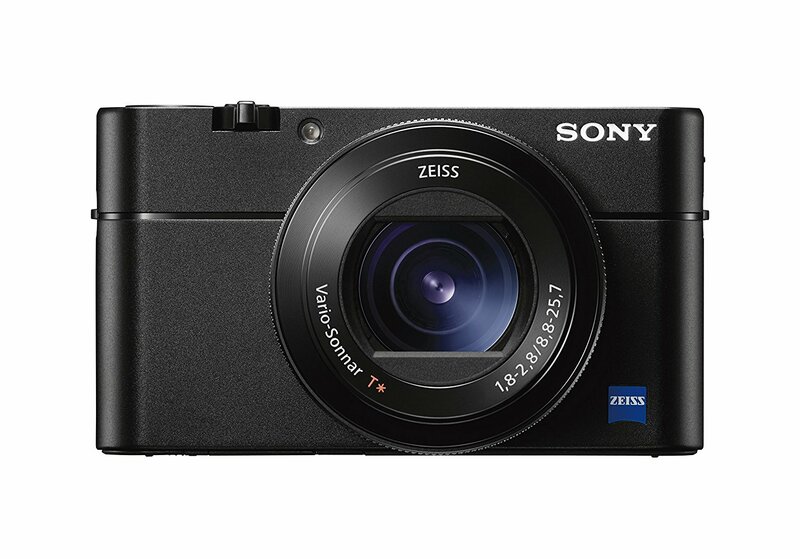 With their RX100 V, Sony have introduced and amazing piece of kit. Autofocus that doesn’t have to hide behind the a6300 or a6500, 24 frames / second burst rate in RAW, and 4K video recording leave almost nothing to be desired in a compact camera. Shoots great images for its size. Of course, the RX100 V can do many of these things better. But is that really necessary? Wouldn’t it make more sense to make a professional-grade compact camera that is lighter and more durable instead of trying to cram even more new and outrageous features that most people don’t even need into cameras while also making them more and more expensive? Don’t get me wrong. This camera is awesome… But for me the RX100 III, LX15 or G7x Mark II are better at directly catering to the users’ needs. Previous Canon EOS Rebel T7i vs EOS 77D vs EOS 80D, what’s the difference? Next Fujifilm X-T20 vs. XT2, what’s the difference?